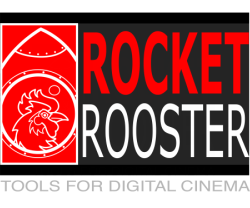 The Rocket Rooster Analog Cinema Pack, a brand new looks pack for filmmakers based on the popular Analog Film for photography. The pack features over 50 high quality simulations of popular film stocks from Agfa, Fuji and Kodak. Now you can get the timeless look of film and create something totally unique with enhanced character and depth that digital footage just doesn't have. This is a must have pack for creative filmmakers and pro colourists looking for something new. Based on Classic 35mm photo film stocks, the Analog Cinema II pack features 64 looks that give your videos an authentic film aesthetic. The pack features film emulations form Agfa, Fujifilm, Kodak and Ilford with various expired, Lomo and faded film variants. Support for Log and Linear. Rocket Rooster Analog Cinema III The 3rd edition in the Analog Cinema series features a set of 50 authentic 35mm film stock emulations from Fuji, Kodak, Agfa and Ilford. Also included is a full set of LOG to Linear LUTs with support for 12 LOG profiles. Check out the Rocket Rooster Analog Cinema 4, the latest edition in the ever popular Analog Cinema Lineup. The pack features over 50 film stock emulations from Fuji, Kodak and Polaroid that take your regular digital images and give them a unique organic look. Check out the Analog Cinema 5 with over 50 authentic 35mm Film emulations from Fuji, Kodak, Agfa and Ilford. CHECK OUT THE ANALOG CINEMA BUNDLE, ALL 5 FOR LESS THAN THE PRICE OF 3!